All the way from Petone to Kaitoke! Need someone to walk your dog while you're at work or away? Then look no further! Welcome to Hound And About Dog Walking service. We provide quality, stimulating exercise for your dogs when you just don't have the time. A bored, lonely dog is a destructive and unhappy dog and we don't want that for our best friends. With Hound and About your dog gets to socialise, play and explore new places, exactly what they were born to do! Walks are anywhere between one and three hours depending on your dogs energy requirements. Typically we walk in groups of 7-15 dogs with no more than 7 dogs per person so they have the attention and care they deserve. Our catchment area is from Petone to Upper Hutt, pick up and drop off is included in the price! 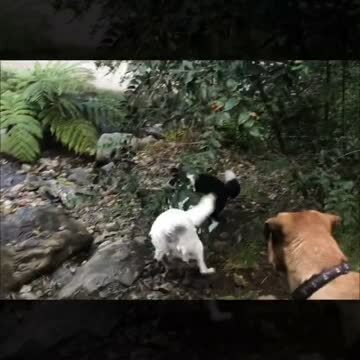 Want to see what your dog gets up to on a walk? Pricing varies for casual customers. Discounts available for multiple dogs! Please specify your dogs breed, age and energy level so we can chose the best walking option! Saturday-Sunday CLOSED for walks but still free to take bookings/arrange consults.